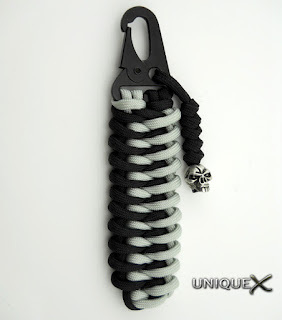 A new Facebook friend, Matthias Agnello created this fantastic paracord design that has a mean-tough-rugged style. 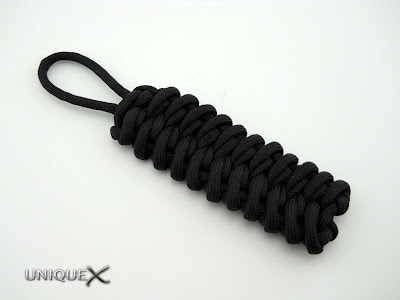 This design is easy to learn and fun to tie. Matthias was kind enough to create a photo tutorial of the tying process that shows how to start this design for a bracelet. I chose to start my fobs differently, but if you're familiar with tying a Solomon Bar key chain, you shouldn't have any trouble re-creating these designs, simply start and finish the design as you would a Solomon Bar. 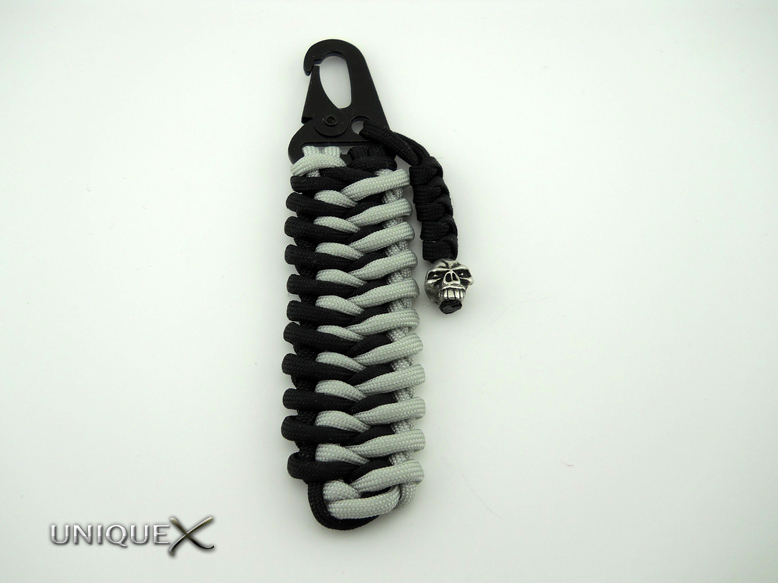 Can you let us know where you got the clip? I know that I've seen similar pieces in the past, but can't remember where. @Pete: There are different types that look like this, but most are more expensive than the one I used, I purchased it from Lighthound.